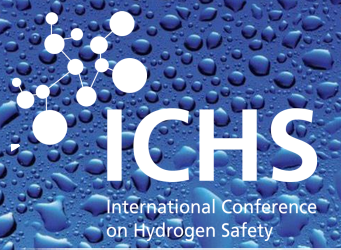 The 6th International Conference on Hydrogen Safety (ICHS 2015) will be held in Tokyo, Japan on October 19-21, 2015 under the auspices of the International Association for Hydrogen Safety (HySafe). The first five biennal conferences since 2005 succeeded in attracting the most relevant experts from all over the world, by providing an open platform for the presentation and discussion of new findings, information and data on hydrogen safety – covering the wide range of areas from basic research to applied research and development to standardization and regulations. As commercialization of hydrogen fuel cell electric vehicles is imminent and other hydrogen applications are being increasingly deployed globally, ICHS 2015 will focus on progress in safety of hydrogen technologies and infrastructure, as crucial/essential means to enable smart hydrogen solutions for global energy challenges. Therefore, the conference seeks papers in a wide range of hydrogen safety topics like (but not limited to) Regulations Codes and Standards, safety in H2 infrastructure, safety solutions for the implementation of H2 technologies, hydrogen and hydrogen blends behavior, physical effects, consequence analysis, incidents, accidents and near misses, hydrogen effects on materials and components, safety of energy storage, risk management and fuel cells related safety issues. A detailed list of ICHS 2015 Themes and Topics is shown at http://www.ichs2015.com/index.php/themes-and-topics.